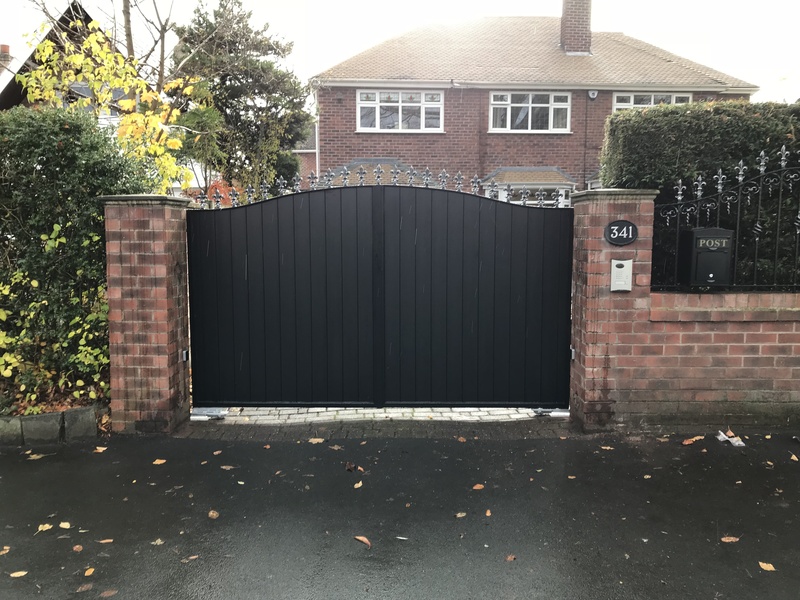 Job Specification – To supply and fit a set of steel framed composite swing gates, galvanized and powder coated in black – composite style in grey with a wooden style finish. 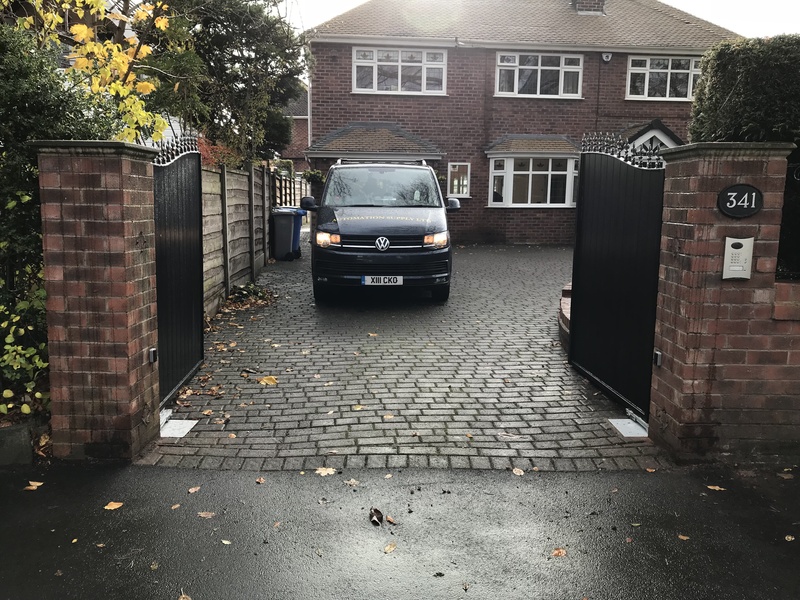 Install a underground automation system that has in built obstacle detection and force limitation. 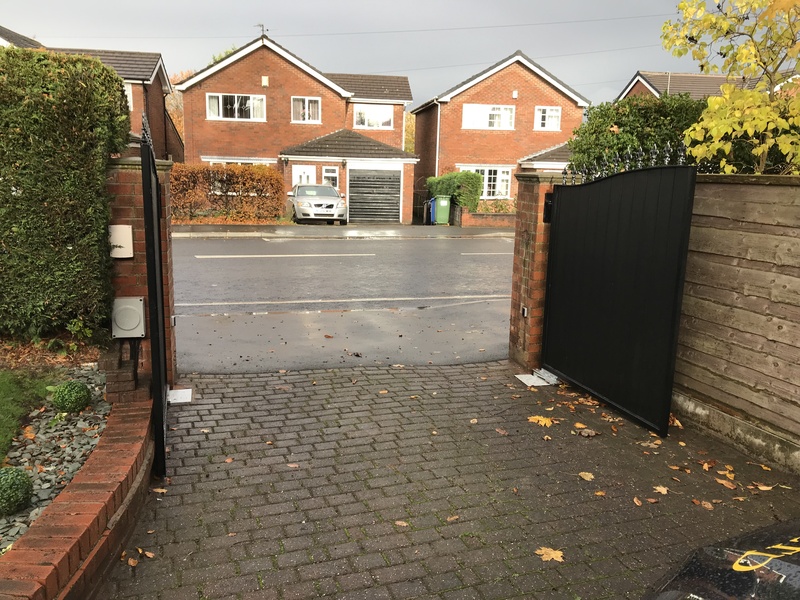 Operating System– The gate system is operated by a Diatem SC902AU wireless intercom system with a built in keypad module and remote control transmitters.